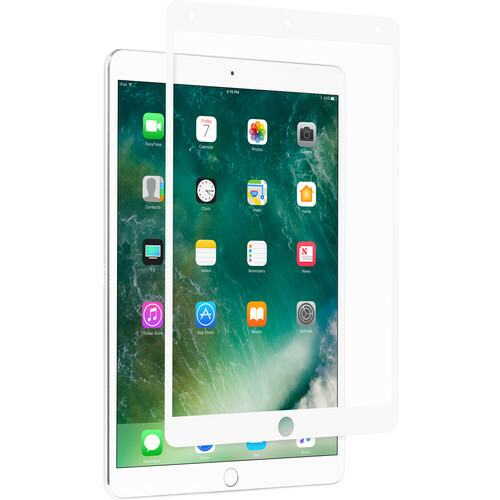 Made for Apple iPad Pro 10.5"
Protect your iPad and reduce fingerprints and smudges with the iVisor AG Screen Protector from Moshi. This screen protector is designed for the iPad Pro 10.5" and features an EZ-Glide treated surface for more responsive touchscreen maneuverability. It installs easily without bubbles and can even be washed and reapplied as many times as needed. Furthermore, the iVisor AG Screen Protector is compatible with the Apple Pencil. Box Dimensions (LxWxH) 11.3 x 8.5 x 0.3"